This Windows 7 Theme Grenade will give your Windows 7 PC a completely different look with an enhanced Aero feel. This beautiful art is created by virattara. This Article Has Been Shared 5877 Times! Windows 7 Theme Modern is a beautiful enhanced Aero theme. Preview and download for free. 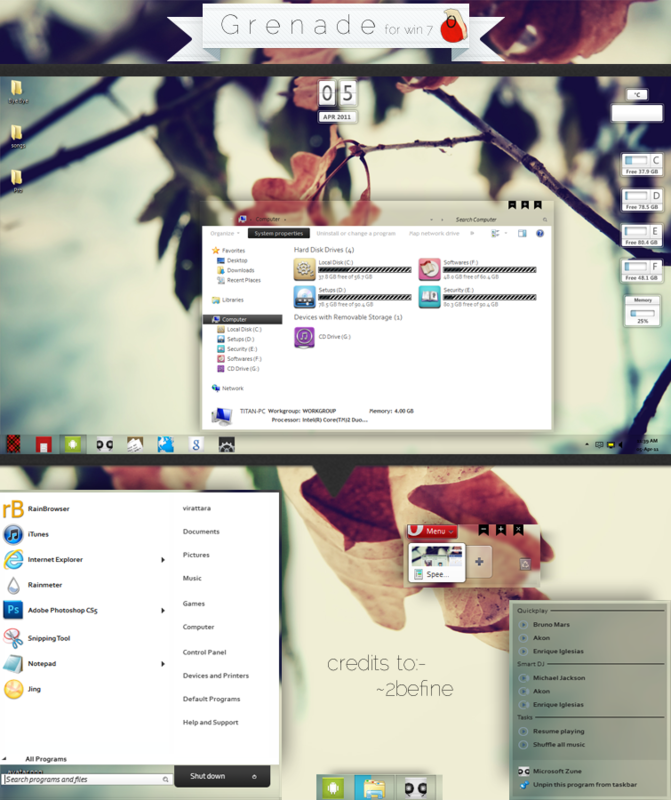 Cite this article as: Abhishek Ghosh, "Windows 7 theme Grenade," in The Customize Windows, June 6, 2011, April 18, 2019, https://thecustomizewindows.com/2011/06/windows-7-theme-grenade/.